Albert Argent Archer, the excellently named Kensington photographer was featured in one of the short posts over Christmas. 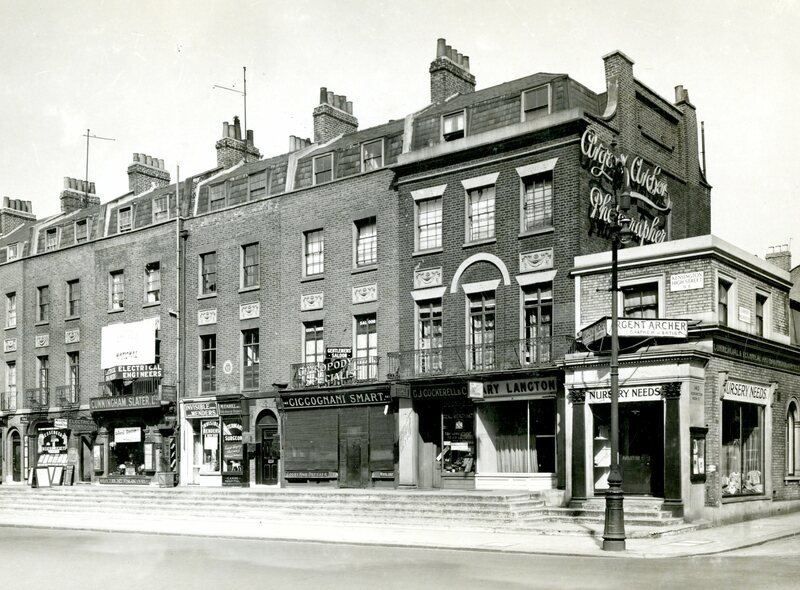 As promised, this week we are returning to him, but first a few historical words about Kensington High Street. On the south side of the High Street we have today the two remaining department store buildings (formerly Barkers and Derry and Toms), a modern development on the corner of Wright’s Lane (which replaced the third department store, Pontings) followed to the west by an 1890s development called the Promenade. 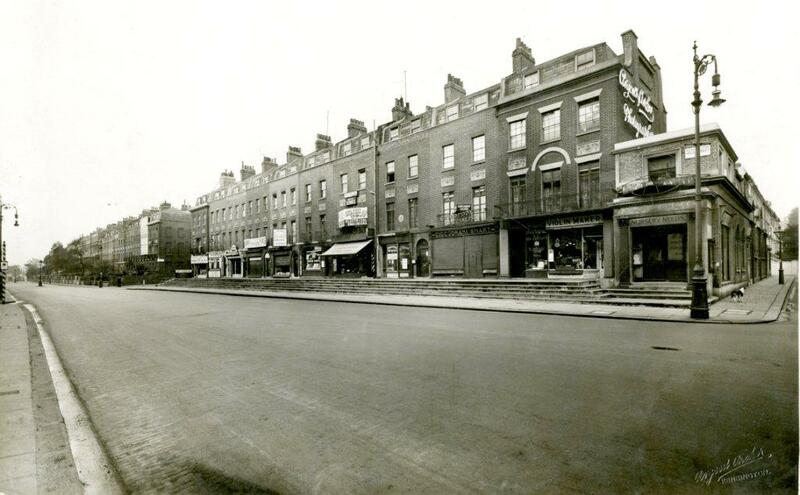 The section from Adam and Eve Mews to the Earls Court Road is rather mixed, as many Victorian high streets end up being. 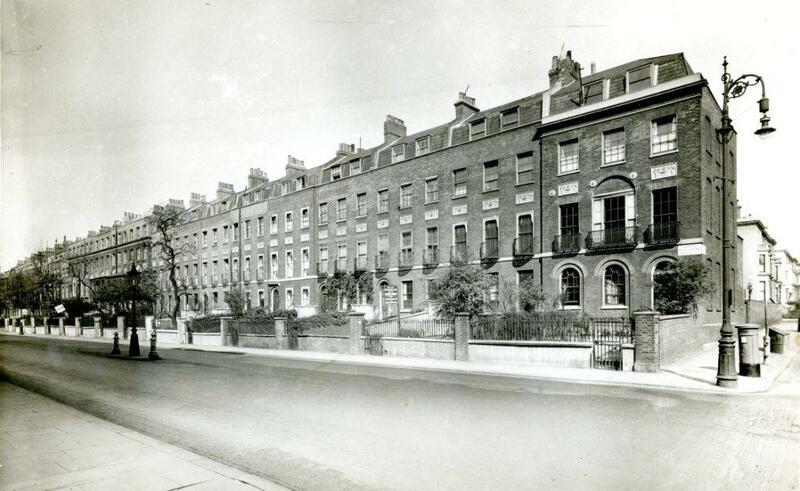 But on the northern side, from Campden Hill Road (preceded by the 1905 Hornton Court, seen in the Christmas post) to Holland Park (and beyond) there is a string of 1930s apartment buildings, Phillimore Court, Stafford Court, and Troy Court all built in the period after 1932 which, along with those department stores, have helped to cement the High Street’s identity as a 1930s street. 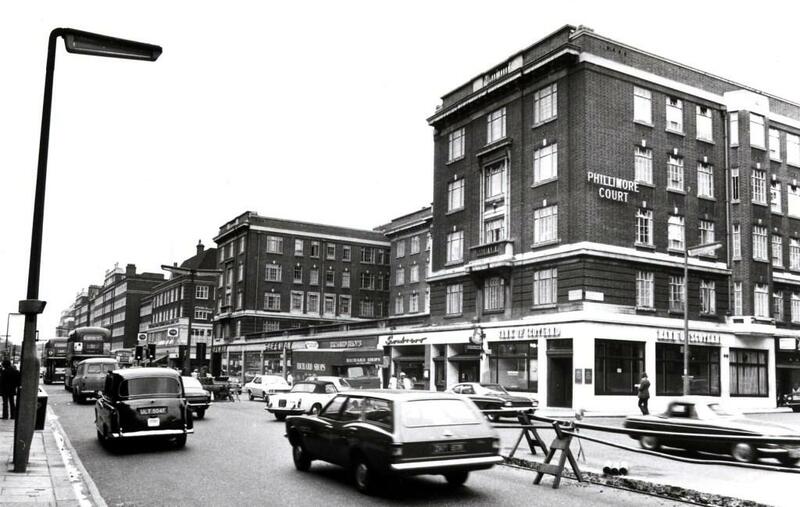 Here is Phillimore Court (140-158 Kensington High Street), on the corner of Campden Hill Road, in about 1970, looking west. And back eastwards. Note the missing letter from the name above the branch of Safeway. You can see that although the building is plainer, it has a similar structure to Hornton Court. This view westwards takes in the more vernacular style of Stafford Court (160-206) stretching off into the distance. Safeway may have only recently passed on into the retail afterlife but C&A, once another common feature of the high street, is long gone. 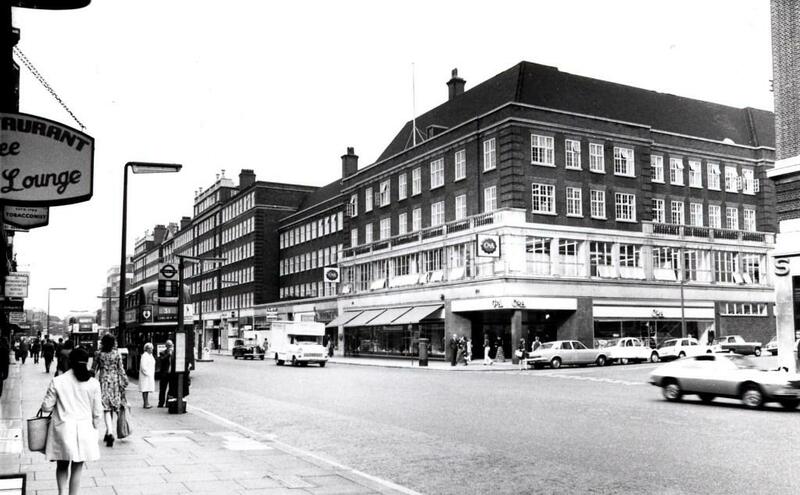 Individual shops may come and go but that series of apartment blocks with retail units on the ground floor still suggests the idea of Kensington High Street as a shopping destination. The wide street and tall buildings on either side say it too: here is a place for pedestrians and businesses large and small to come together. 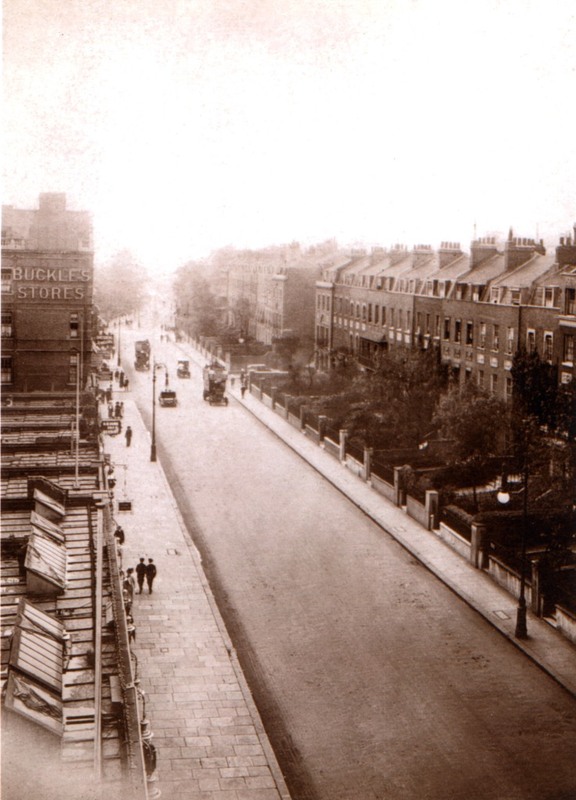 But as we know, it wasn’t always like that, and before all that development the north side of the street was a series of Victorian houses or shops, with gardens or yards in front giving the street a low-rise and spacious look. 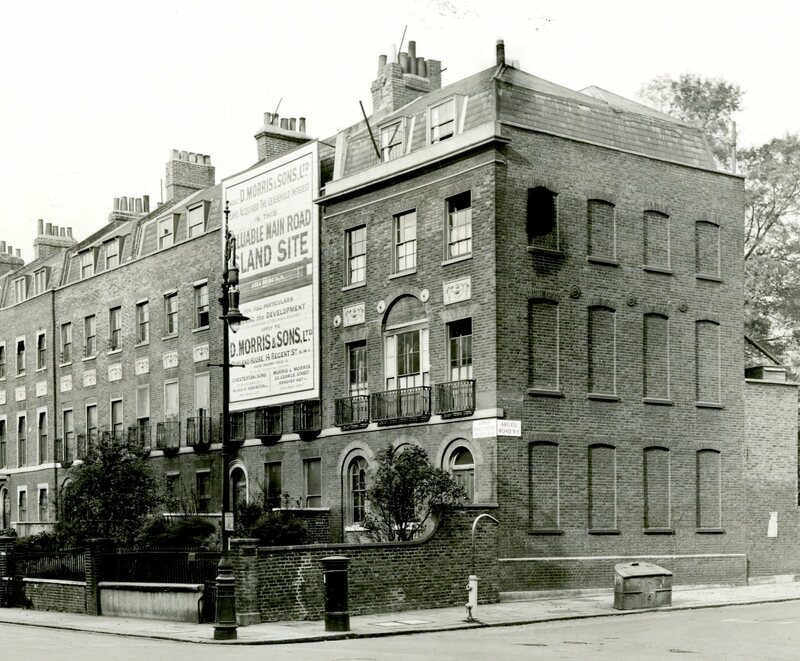 This is numbers 140-158 about 1930, just before the block was cleared for demolition. This close up shows Archer’s studio and the adjacent shops. Smart Ciccognani at number 142 was a “court hairdresser” but also, as you can see from the sign, a chiropodist. 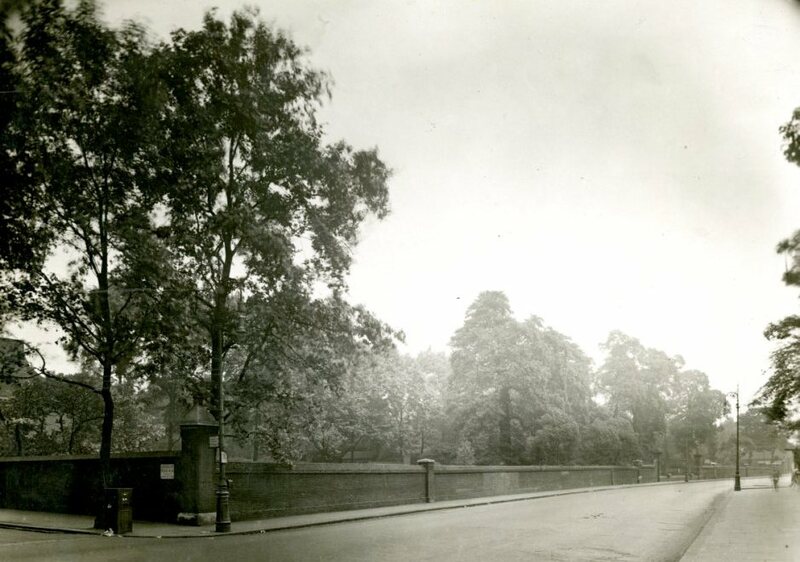 This is an earlier (c1904) picture of the other end of the block at the junction with Argyll Road. It looks as though some work is in progress behind the billboards. 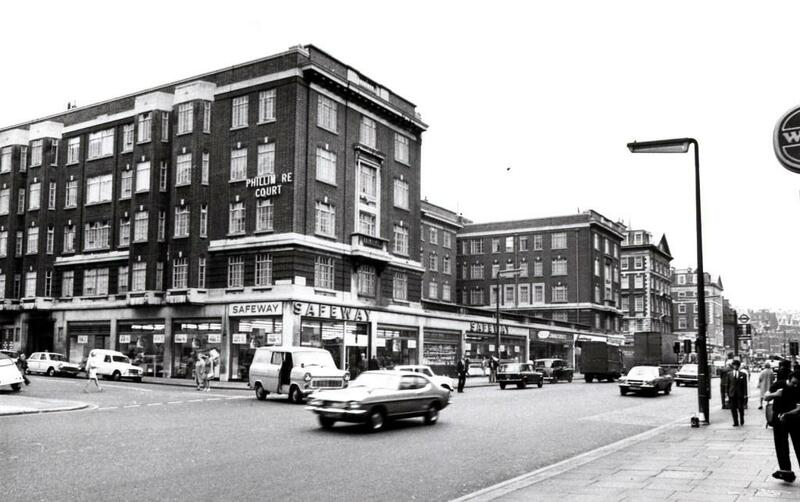 This is the block (160 onwards) where Stafford Court now stands. A close up lets you see the sign for a “valuable main road island site”, ripe for development. Do you see that one window on the side, not bricked in. What happened there, I wonder? This view shows the houses on the north side of the street looking west. 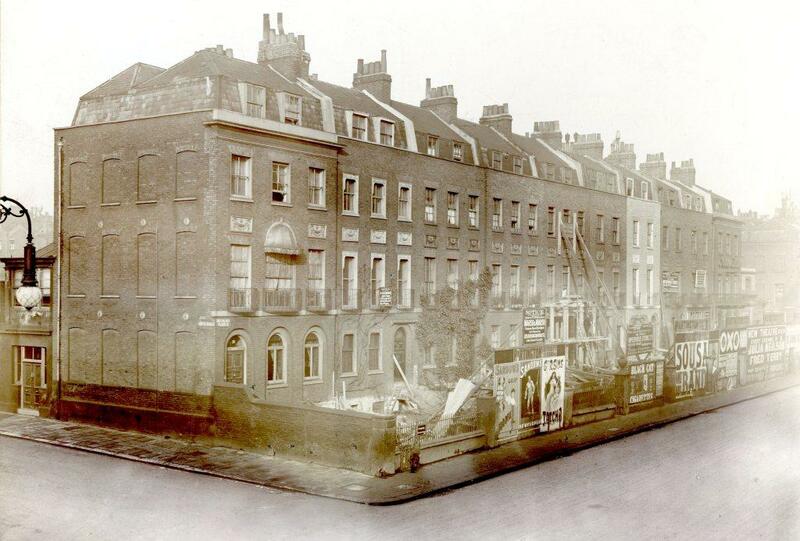 The picture seems to have been taken from an upper floor of Pettits, the drapers, haberdashers and ladies outfitter. It shows how much space the front gardens of the houses took up and how much room there was for widening the street. 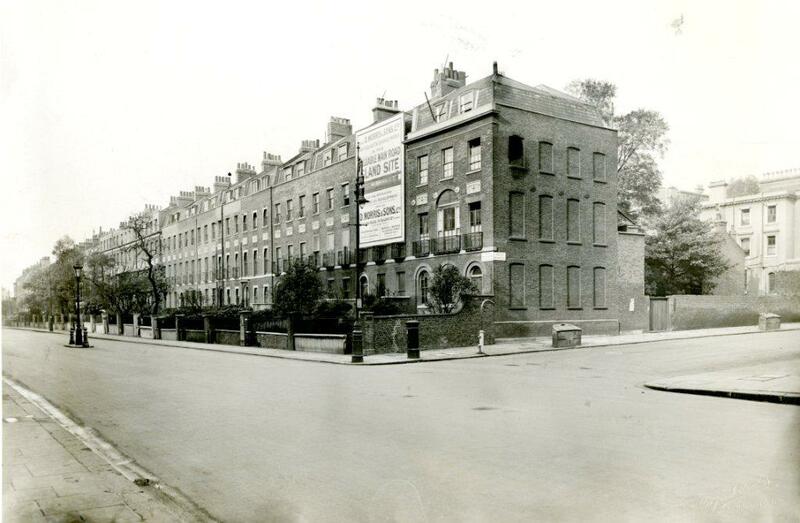 The housing on the north side, now as then comes to a sudden halt at Holland Park, then a private house and grounds. I found a later version. 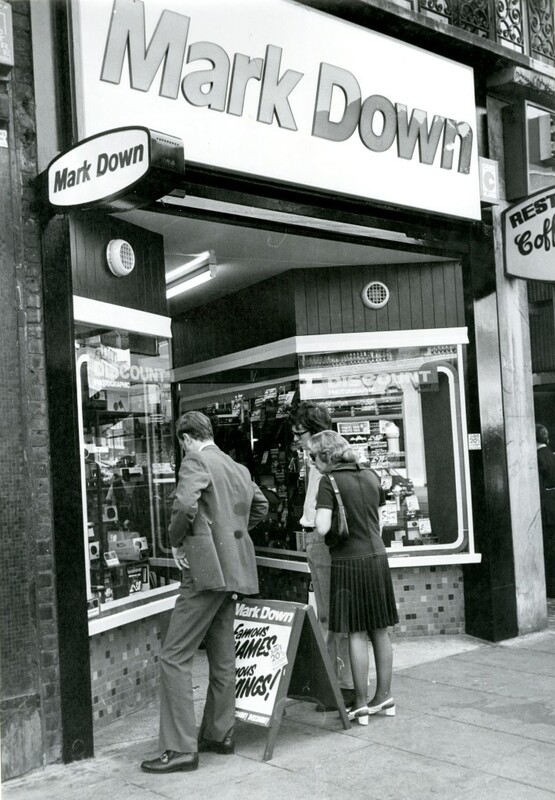 But for a final image, what about a Kensington High Street photography shop from another era? One loyal reader asked me what happened to last week’s post. Well, nothing terrible. I had a cold and was off work for a couple of days but couldn’t concentrate at home. As I recall I was mostly intent on staying warm. My blog resolution this year was not to sweat the small stuff and to realise that the world doesn’t depend on me doing a post every single week. In fact, there is so much material on the blog now that people are always discovering old posts, which is great because some of them are okay. I’ll try and keep the new ones up to the same standard. 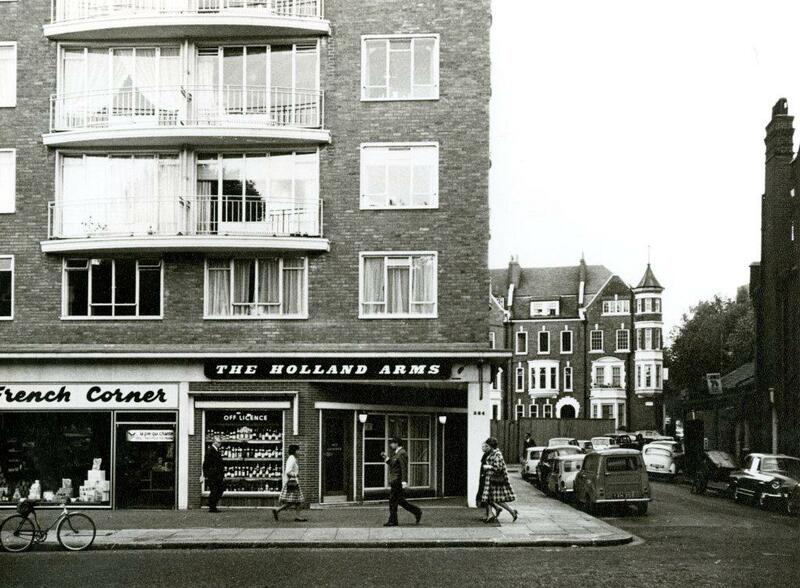 Next week we’re probably going to be back in the Gloucester Road / Cromwell Road area, but I will be following up this post with some more on the High Street as it used to be. This entry was posted on Thursday, February 15th, 2018 at 8:45 am	and tagged with Kensington High Street, Phillimore Court, Stafford Court and posted in 19th Century, 20th Century, Kensington. You can follow any responses to this entry through the RSS 2.0 feed. http://users.bathspa.ac.uk/greenwood/ I wanted to compare these photographs to the old Greenwood map but the link is down!!! I hope not permanently!